AdventureQuest is a campy Final Fantasy style RPG that you play when you are on your lunch break, or the big game servers go down. You fight against hordes of evil creatures so that you can grow stronger and obtain ancient weapons of unimaginable power. You need nothing more than your web browser and the latest Macromedia Flash plug in to play. Click Here For Adventure Quest: Player Guide ! Welcome to Adventure Quest Worlds! Artix Entertainment's first true MMO where you can interact with other players, form war parties, create your own weapons, and do much more! Also don't forget, you can create your own room to battling monster on your own or with your friends only ! An MMO is a massive multiplayer online game. AQW stands for Adventure Quest Worlds, AE's first attempt at creating a massive world where you can walk-around and interact with other players using Flash. It still is an in-browser game. You need nothing more than your web browser and the latest Macromedia Flash plug in to play. Click Here For Adventure Quest Worlds Special Live Event ! Click Here For Adventure Quest Worlds Favorite Costume Season Set ! "Demong Hunter", the No. 1 action game in Taiwan, Thailand, Singapore and Korea returns! Start your second adventure with more powerful action, in depth storyline, numerous stages and special characters! Experience the action packed fun with simple but sophisticated control mechanics! 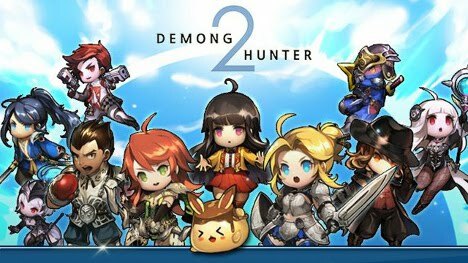 Beat the Demongs and return peace with the Hunters! Follow the enhanced scenario with plentiful single play campaigns and participate in the newly added raid system! Join your friends and help annihilate the Demongs! The destiny of the Hunters depends on your controls! Venusaur, Charizard, Blastoise, Pikachu and many other Pokemon have been discovered on planet Earth! Now's your chance to discover and capture the Pokemon all around youâ€”so get your shoes on, step outside, and explore the world. You'll join one of three teams and battle for the prestige and ownership of Gyms with your Pokemon at your side. Pokemon are out there and you need to find them. 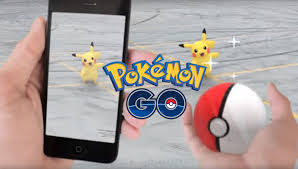 As you walk around a neighbourhood, your smart phone will vibrate when there's a Pokemon nearby. Take aim and throw a Poke Ballâ€¦ You'll have to stay alert, or it might get away!